A new economic system for free software programmers, contributors to crowdsourced projects, volunteers, ... and everybody else, who use the goods and services made in NEO. The NEO economy builds on the fact that volunteers are motivated not by economic benefits they could gain from work, but by desire to achieve mastery in the field of their interest, or to demonstrate ability in providing products useful to society. However, social impact of such work is visible only to a narrow group of people, limiting its potential for motivation of others to engage in pro-social activities. 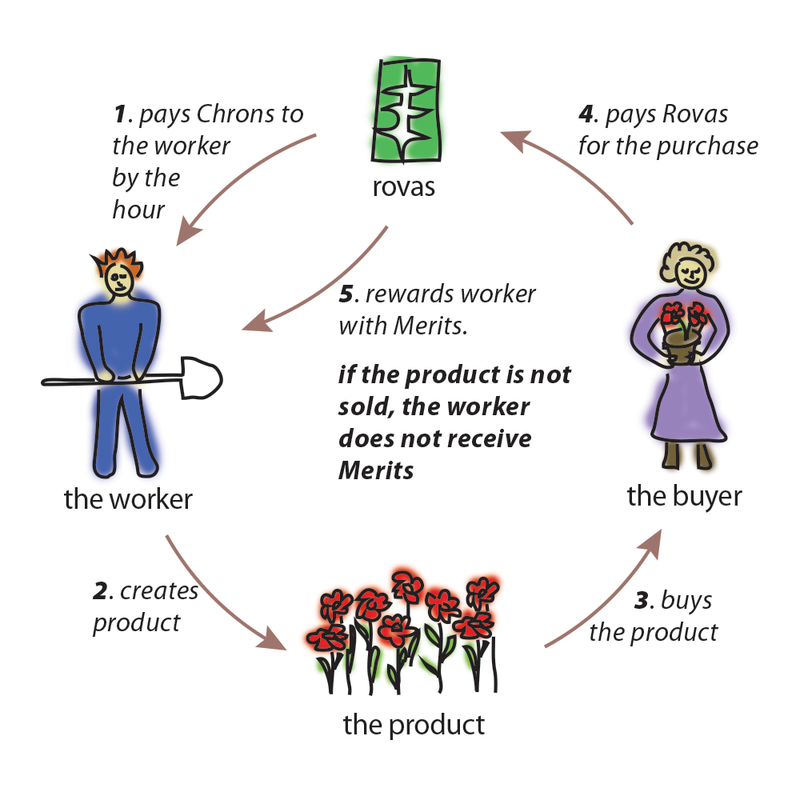 NEO therefore - in addition to a new currency called Chron - introduces a non-economic, non-transferable, reputation-like reward - Merit - with value determined by the market. 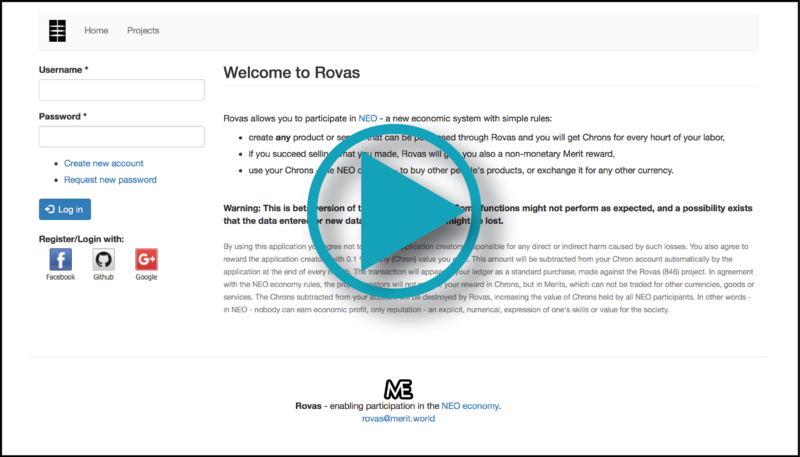 use your Chrons to pay for stuff made in NEO or exchange them for other currency. Today, identity of volunteer-made projects and the amount of effort invested into their production is often unknown to the population. As a result, people do not recognize volunteer-made goods and services, or are unaware of their value. Consequently, they do not feel obliged to reciprocate for the benefits such products provide to them. NEO rectifies this problem by providing an exact measure of costs invested into creation of such goods and services and by providing a mechanism for rewarding the creators. Difficulty in obtaining the non-economic Merit reward, its visibility and the objective way it is determined provide a new incentive mechanism for people to work on projects that are currently undertaken only reluctantly or not at all. Free software developers for example should be more willing to start new functionality development, provide bug fixes or support for their product, if they have prospect of earning universally recognized, publicly visible Merit reward. Every year, one billion people globally volunteer their time and work on society-benefiting projects, generating more than a trillion USD in economic value in the process. It can be expected that revealing the actual costs of such projects will prompt the NEO workers to try to capture some of that value and their "customers" to be more villing to pay for such products. This should lead to increases in the exchange value of Chrons against other currencies and increasing attractiveness of the NEO economy for more people. Last but not least: NEO offers a novel alternative to distribution schemes like Universal Basic Income and other similar proposals, which attempt to address the growing problem of disappearing work opportunities for people lacking high-level skills required by the modern economy. Please note. The video is slightly out of sync with reality, as it reflects the beta 1 functionality of the app. See the release notes for Beta 2 for description of the changes made.